UNC Charlotte alumnus Joe Posnanski is the author of “Paterno,” a biography of the renowned Penn State football coach. The work debuted at number one on the New York Times bestseller list earlier this month. Autumn has arrived, so fall planting is underway. 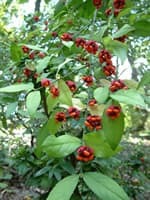 At the Botanical Gardens annual plant sale, attendees can learn how to plant like a professional. Marine veteran and gay rights activist Eric Alva will speak about his work on the repeal of the U.S. military’s “Don’t Ask, Don’t Tell” policy and his role as a spokesperson on LGBT issues and the military for the Human Rights Campaign (HRC) at 7 p.m., Tuesday, Oct. 2, in the Student Union. Jing Xie, a doctoral student in software and information systems in the College of Computing and Informatics, will defend “Interactive Secure Programming for Secure Software Development” at 2 p.m., Monday, Oct. 1, in Woodward Hall, Room 338. Bill Chu is the advisor. 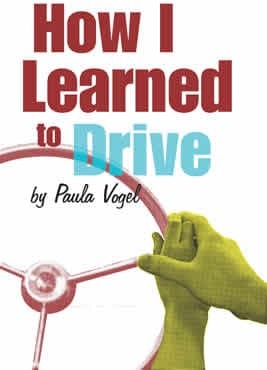 The UNC Charlotte Department of Theatre will open its 2012-13 season with Paula Vogel’s “How I Learned to Drive.” Shows will be at 7:30 p.m., Tuesday through Friday, Oct. 2-5, and Wednesday through Saturday, Oct. 10-13, in the Black Box Theater of the Robinson Hall for the Performing Arts. A 2 p.m. matinee will be Sunday, Oct. 14. 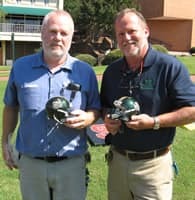 Paul Bennett and Ben Roberts, housing and residence life, took first place in the third annual tailgate toss held as part of the Staff Recognition Celebration. Charlie Bowling and Charlie Donehue, who coordinated the event, came in second place. They also work in housing and residence life. The Department of Athletics provided the tournament awards. 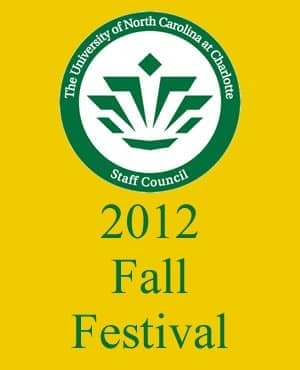 The UNC Charlotte Staff Council will hold its annual Fall Festival from 11 a.m. to 2 p.m., Tuesday, Oct. 9, at the Barnhardt Student Activity Center. Mary Lou Wallner, founder of To Educate About the Consequences of Homophobia (TEACH), will talk at 7 p.m., Thursday, Oct. 11, in the Cone University Center, McKnight Hall, for the Bob Barret Distinguished Lecture Series on Multiculturalism. Alan Frietag, a professor of communication studies, will present “Researching Employee Communication in Poland” at 12:30 p.m., Wednesday, Oct. 3, in the College of Health and Human Services, Room 207, as the first talk in the 2012-13 Global Perspective Series.